Plan for your best future. No matter what stage you are at in life, you need a plan. The Elrod Firm is not a general practice law firm, doing a little bit of everything. We limit our practice to helping clients put the right plans in place at the right time to meet their goals with confidence. Our plans are extremely thorough but as simple as possible. You already know that planning is important. 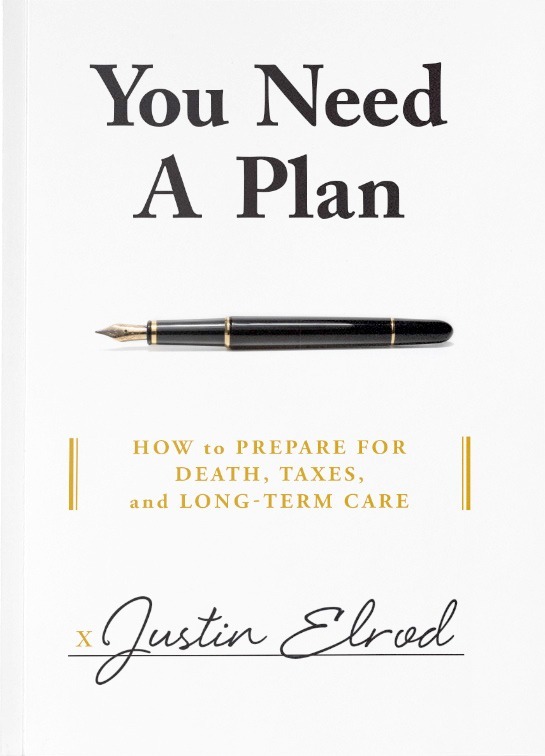 The trouble is, when it comes to Estate Planning, Asset Protection Planning, and Long-Term Care Planning, most people don’t know HOW to plan, or even where to start. If that’s where you find yourself, don’t worry. You’re not alone. You can decide what happens to your estate without fearing it will end up in the wrong hands. Know which taxes matter most to you and don’t pay a penny more than you have to. Stay ahead of rising long-term care costs to ensure there's something left to inherit. We realize that emergencies happen and planning ahead is not always an option. In those difficult cases, the last thing you want to do is figure it out on your own. Creating an emergency plan will minimize the stress and the financial hit that often come with unwelcome surprises. Just because you didn’t plan ahead doesn’t mean you can’t have a plan, and it doesn’t mean all is lost. You’d be surprised at the last-minute options available to clients in immediate need of long-term care, and you’ll be relieved when you learn about the assets we’re able to protect. Even if you’ve been told your income is too high to qualify for Medicaid, or you always believed you had to be broke to get any financial assistance, talk to us to be sure before you privately pay nursing home bills until you’re broke. You may be surprised to discover what your options are. If you are a veteran or a widow of a veteran currently in need of long-term care assistance, you owe it to yourself to learn about the financial benefits available through the Aid and Attendance program at the VA. We can help explain this often misunderstood benefit. Sometimes a plan doesn’t come together and you are left facing court proceedings. Probate and guardianship court can be a long and emotional process. You need experience and expertise on your side to make this time as pain-free as possible. Of course you’d rather avoid probate than find yourself stuck in the middle of one, but as with most things in life, there’s the easy way and there’s the hard way. If you have tried to close out an account of a deceased family member but been sent away by the bank, or if you’ve tried to sell a property but been told that you don’t have good title or proper authority, we can help. Having solid power of attorney documents will often keep you out of guardianship court, but sometimes the health needs of a family member reach a level where power of attorney isn’t enough. And sometimes you discover only when it is too late that a family member doesn’t even have power of attorney documents. We will minimize the stress of the guardianship process. We wrote the book on planning (literally). The insider strategies listed in this book can save (or make) you tens of thousands if executed properly. You Need A Plan is your starting point to preparing for the future. Claim Your Free Book Today!